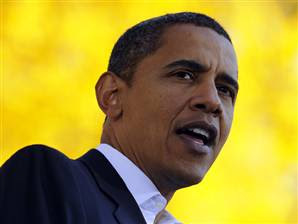 Now it's getting down to the wire, as Democratic hopeful Barack Obama makes his final push for votes as he delivers a campaign speech today in Canton Ohio. 21 months of campaigning throughout the country starting in New Hampshire brings him here to Ohio. Just 8 days to go and he may be the next President-elect and the first African American to ever do so. People seem to be rallying around him listening to his speeches very intensely, as thousands upon thousands of Americans travel long distances just to hear his speeches. During his speech today, he emphasized the fact that in just 8 days from now, America has the power to change the direction of the country, by electing him as their President on November 4, 2008. He claims that now is not the time to tone down just before the election, even if he leads in most polls by double digits. Meanwhile, not all sights are on just the Presidential race, as now it appears that it would be possible that the Democrats could also win a majority in the Senate, hoping to win 60 seats. This would mean that the Senate would become filibuster-proof, and Barack Obama may easily push his future bills through Congress easily. Unlike the incumbent George Bush who now has the lowest of approval ratings in modern time, Obama should be able to get many things accomplished in a short period of time. Now that the election centers around the economy, Obama enjoys the benefits of the lack of results built up by Republican President George Bush. Nevertheless, Obama if elected has a long hill to climb, but it appears just prior to the election that the people are rallying around him and he has an excellent chance to win the election. A video of the speech by Barack Obama will be provided when it becomes available along with a transcript in what he calls the "final push" for the Presidency.